As data warehouse developers, we often have to extract data from a myriad of source systems. Thus, whilst some source systems readily integrate with our ETL tools there are instances whereby we need to install additional drivers and software addons in order to successfully connect and extract data from other source systems. Microsoft SharePoint Online is one such source system that I recently had to extract data from and its connectors are by default not part of the standard SQL Server Integration Services (SSIS) package template. As SSIS developers we often don’t have solid background on environments such as SharePoint, thus figuring out which version of SharePoint Software Development Kit to install in order to enable successful connection from SSIS can sometimes be a frustrating experience. In this article, I try to alleviate some of that frustration by sharing some of my recent experiences relating to getting data out of a SharePoint list using SSIS. We begin by looking at sample SharePoint environment that will be used as a data source and identifying a list of URL addresses that we will need in our SSIS package. 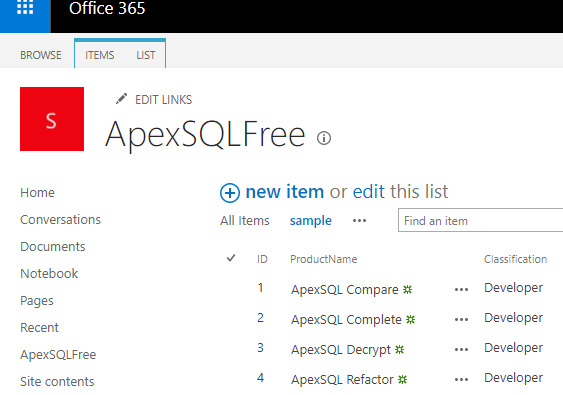 Figure 1 gives a preview of the data contained within our sample ApexSQLFree SharePoint list – basically a list containing SQL addons produced by ApexSQL and licensed to the public for free. ApexSQLFree is the name of the list. Obviously, you can always test the generated *listdata.svc URL by running it into a browser as shown in Figure 2. Having identified the SharePoint list from which data will be sourced, we switch to SSIS and configure the necessary components for SharePoint data extraction. The first SSIS component that ought to be configured is the OData Connection Manager. This connection type is available under New Connection… option in SSIS’s Connection Managers tab as shown in Figure 3. By clicking on the New Connection… option, the OData Connection Manager Editor will popup. Fill in the Service document location box with your *listdata.svc URL and on the Authentication Type dropdown, choose “Microsoft Online Services”. The Microsoft Online Services will further require that you specify a username and password. Finally, if everything has been captured correctly, clicking the Test Connection button at the bottom left of the editor should return a “Test connection succeeded” message as shown in Figure 4. Having successfully created and tested our OData connection, we are now ready to begin data extraction and SSIS facilitates such an exercise through its Data Flow Task component. Within the Data Flow Task, we start off by configuring our data source component – which in this case will be OData Source as indicated in Figure 5. Once the OData Source has been added into the Data Flow Task pane and its editor opened, under the OData connection manager label we select the OData connection we configured above. As indicated in Figure 6, such a selection will result in the rest of the boxes being auto-populated (except for Query options). You can use several query options in your OData source connection as outlined here. For instance, if you want to return a subset of data from your SharePoint list, you can use the $top query option as indicated in Figure 7. For the purposes of showing you how the filtering works, I duplicated the components in the data flow tasks such that one section applies the $top query option and the other doesn’t. As indicated in Figure 8, the first flow retrieves only 2 rows compared to the other section that returns all (7) rows. In the preceding section of this article, I demonstrated an end-to-end seamless configuration and extraction of SharePoint data using the OData source in SSIS without any errors. However, in real world it this hardly happens – you are likely to run into an error message or two. In this section, I have put down some of the errors that you should look out for when working with SharePoint Online and how you can go about fixing such errors. When configuring an OData connection, choosing the Microsoft Online Services authentication type can return the error message shown in Figure 9. To get around such an error, you will need to download and install SharePoint Online Client Components SDK – which is freely available from the Microsoft Download Center page. Despite having installed the SharePoint Online Client Components SDK, you may still run into another error message when attempting to test you newly configured OData connection. This usually occurs when you have installed SDKs for SharePoint Online instead of SharePoint on-prem, thus make sure that when you google/bing the SharePoint SDKs client components, that you install the correct ones. Table 1 gives a breakdown of common on-prem SharePoint servers and their respective version numbers. Furthermore, you can always verify the version installed by looking at the path: C:\Program Files\Common Files\Microsoft Shared\Web Server Extensions\%version number%\ISAP where %version number% is a parameter for version of SharePoint, thus for SharePoint Server 2016 you should have a path as follows: C:\Program Files\Common Files\Microsoft Shared\Web Server Extensions\16\ISAP. Finally, one of the frustrating error message you may encounter when extracting using SSIS to extract data out of a SharePoint list is a series of data conversion errors. This is because all string related fields from the OData Source component will be defaulted Unicode text stream data types (i.e. DT_NTEXT) as shown in Figure 11. There are several ways to get around this error; you can add a data conversion transformation component and convert data as suggested in the error message. Alternatively, you can simply convert the destination output to a Unicode string by ticking the Unicode box as indicated in Figure 12. SharePoint list is one of many data sources that as data warehouse developers can be required to extract data from. Unlike your typical data sources such as SQL Server or Excel, required drivers are often not readily installed in SSIS package template thus requiring a bit of work from your side in terms of identifying, downloading and ultimately installing the correct software addons. In this article we have demonstrated how data can be sourced from a SharePoint list and how you can go about dealing with several common issues. Sifiso is a Johannesburg based certified professional within a wide range of Microsoft Technology Competencies such SQL Server and Visual Studio Application Lifecycle Management. He is the member of the Johannesburg SQL User Group and also hold a Master’s Degree in MCom IT Management from the University of Johannesburg. He currently works for Clientele Life as an Assistant Manager in Business Software Solutions.